We are proud to offer the best warranty in the industry. A furnace warranty matter. The warranty tell you how deeply a company will stand behind their products and their workmanship. A.B. May does both. We believe in what we are doing, and we will do everything possible to take away some of the worry that all homeowners face when making a significant investment in their home. Our warranty on qualified heating and cooling systems is the best in the industry. Many companies offer a 10-year parts warranty and 1 Year labor warranty at best. That means after the first year, the warranty only covers the parts needed for the repair but not any of the labor costs. 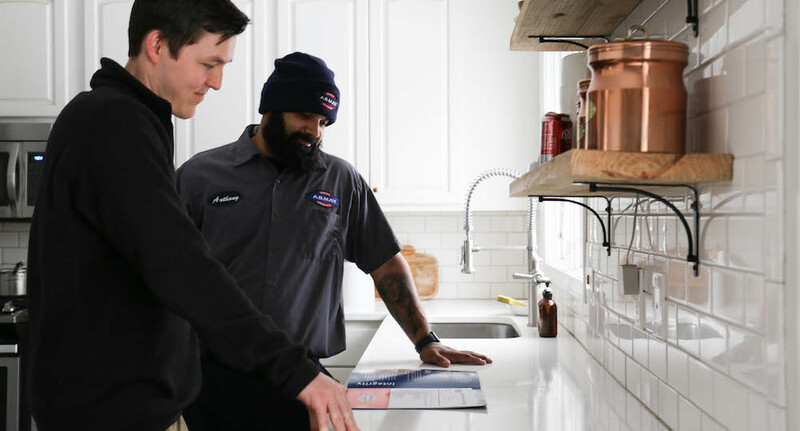 Our warranties cover both parts and labor, and many of Daikin’s systems come with Unit Replacement Warranties as well, which means they will replace the entire furnace and not just the part if a major issue arises. Our warranty means that if you have an issue anytime in the 12 years after your installation, we will come out and fix it at no cost as long as you have had system maintenance performed least 1 time per year since installation. Even the smallest of repairs can cost hundreds of dollars, so this coverage provides ultimate peace of mind. On top of that, we also include free preventative maintenance for 5 years. This ensures your unit is in top shape, ready to handle whatever the weather brings our way. Schedule an appointment for a free estimate today to learn more about how purchasing from A.B. May can protect your home and your investment. ** Warranty is valid on qualified systems.